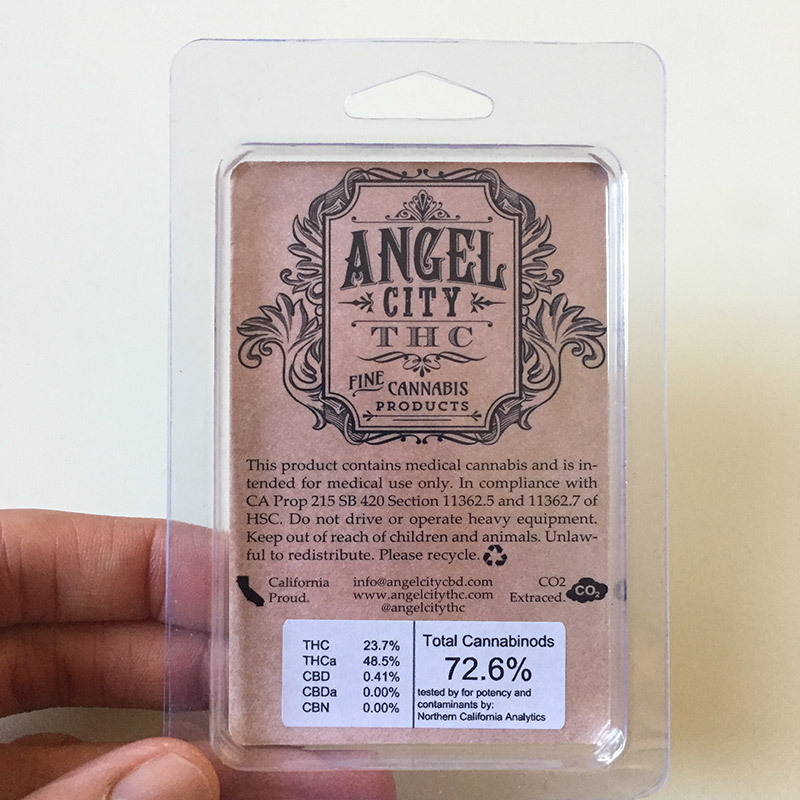 Angel City THC is a fairly new brand, having recently launched in SoCal, Bay Area, Sacramento, and San Diego. 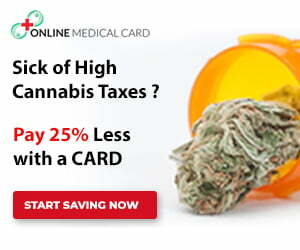 They originated in Colorado, in partnership with Golden Barn CO2 extractions. Golden Barn acquired their own extraction equipment and has put in work over the years developing their extraction process. Perfecting their extractions has given rise to Angel City THC which brings quality, raw and uncut cannabis concentrates to California market. 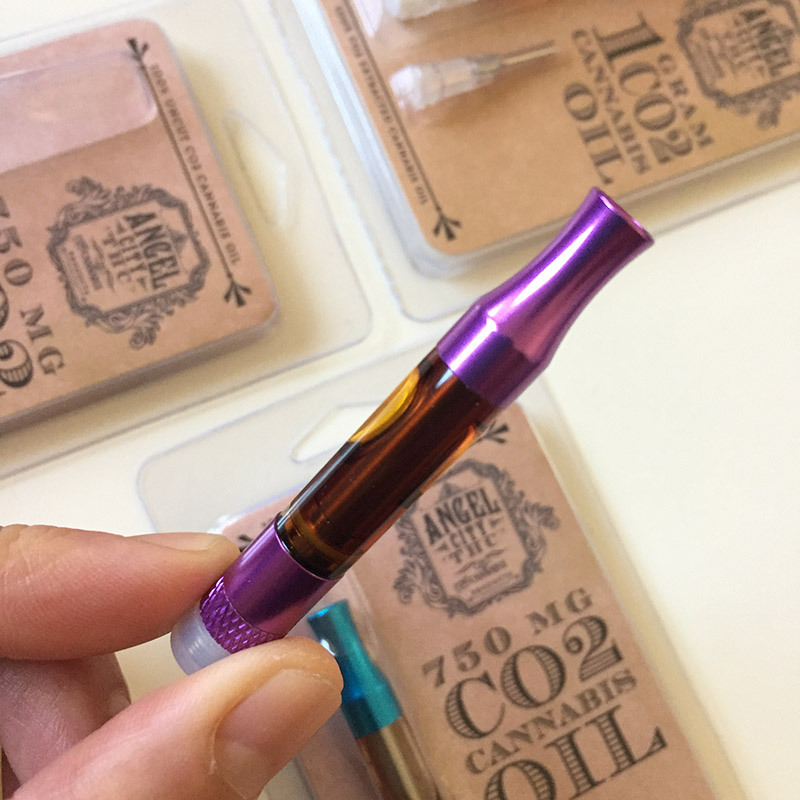 Angel City THC currently offers a full range of tasty, terpene rich vape products from fine dab waxes, pre-filled syringes and an awesome line of strain-specific cannabis oil vape cartridges. 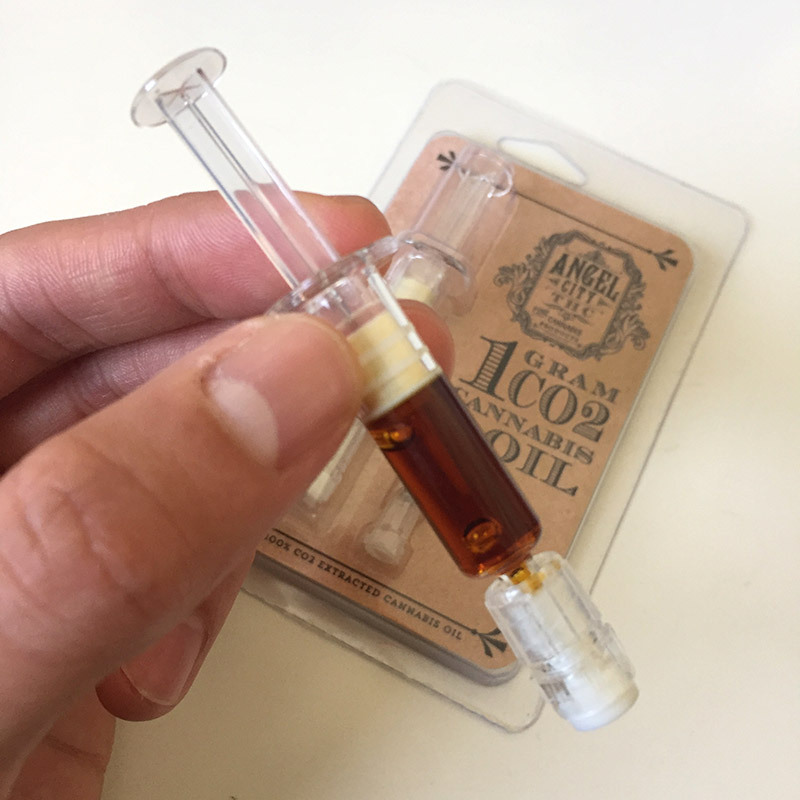 Angel City THC is focused on high quality, CO2 extraction and rigorous testing to ensure their final product consistently exceeds consumer expectations. 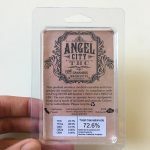 Angel City THC prides themselves on the fact that their cartridges are completely uncut and never will be. Their fine-tuned extractions process allows them to retain as high as 10% terpenes in the oil which is excellent for concentrates and shows through in the taste/flavor of their products. Through fine tuning of their CO2 extractions, they are able to maintain minimal thermal degradation, preserving excellent terpene profiles. Their oils are then winterized which is a process that involves removing waxes, chlorophyll and other unwanted plant materials, resulting in a more purified oil. For those with phenotype preference (indca, sativa, hybrid), Angel City THC has made it easy to identify strain types by color coding their vape cartridges: Pink for Indica, Blue for Sativa and Yellow for Hybrid. These colored, metal tips are a nice touch for those out there with tons of vapes sitting out, always mixing them up as often as we do! The cartridge samples that we tried were delicious! The raw/uncut and terpene rich oils produce clean, natural cannabis flower taste. These carts draw very smooth and light on the inhale, while very tasty and easy on the throat upon exhale. 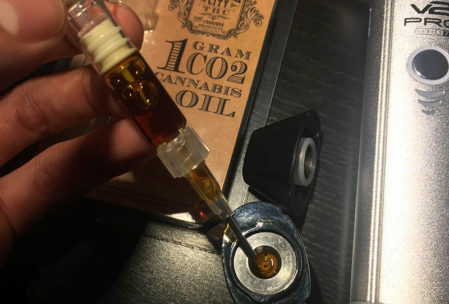 These carts remind us of a previous review we did on raw and uncut style cannabis oils along the likes of Sublime CO2 oils. Both these companies are doing the raw style the right way! 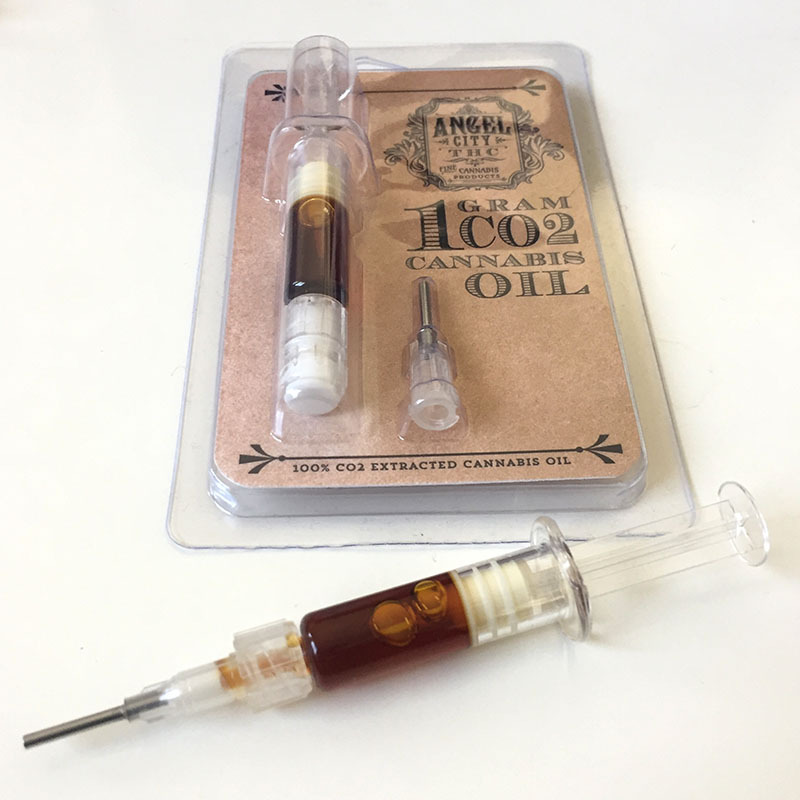 The Angel City THC syringe oil we tried is practically identical to the oil in their vape cartridges. However, the syringes offer added convenience for dabbing as they include metal tips for easy dispensing by injection. This makes it simple and clean to inject directly on to atomizer coils or a hot dabbing nail without the need for a dab tool and avoiding a sticky mess. 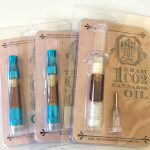 We enjoyed these Angel City THC syringe oils during our recent review of the V2 PRO combo vape. Admittedly, it’s easy for the ill-informed to make negative assumptions when seeing syringes laying around the house – this can definitely be a bad look. 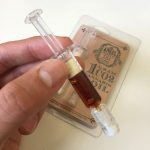 The idea of cannabis pre-filled in syringes is still fairly new to most people. That’s why we appreciate these short length syringes versus more traditional syringe designs which can look more sketchy (it’s cannabis – we swear!). Angel City THC offers 750 mg cartridges that retail for around $40 and 1 gram pre-filled syringes for around $50. Angel City THC also has a sister line, Angel City CBD that offers a full line of fine CBD products including quality CBD tinctures and topicals. 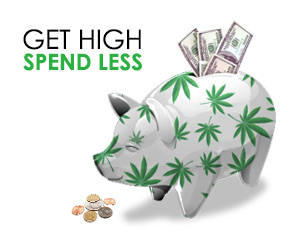 Find top brand cannabis concentrates, vape cartridges and flower through the Nugg delivery network. Nugg connects patients with local dispensaries in California. New members get $20 off their 1st delivery. Keep up with the latest on Angel City THC and Golden Barn by following them on Instagram @AngelCityThc and @GoldenBarnCO2.